Plus Size Captain Blackheart Costume By: Fun Costumes for the 2015 Costume season. It's a pirate's life for him! Now pass this guy a bottle of rum! You can be a rough and tough pirate looking for treasure and rum when you wear this Plus Size Captain Blackheart Costume. 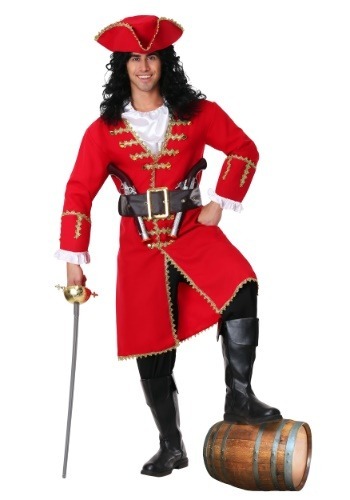 This is an exclusive costume that will make you look like you are ready to sail the seven seas. Pick up a toy sword to complete the look!